It’s lunchtime at the University of Haifa and on a stretch of fake grass, students take in the warm winter sun and look toward the bay shimmering below. But talk to the Arab students on campus about Israel’s upcoming general election and the conversation turns to despair. “We keep hearing that we’re the enemy, that Israel as a country needs to be strong, a place only for the Jews,” says Shadi Nassar, 22, of the anti-Arab campaign rhetoric on Israel’s right wing. Critics says it’s a drumbeat being led by Prime Minister Benjamin Netanyahu himself, who famously responded this week to actress Rotem Sela, telling her she was wrong when she said Israel was the state of all its citizens. “According to the nation-state law that we passed, Israel is the nation-state of the Jewish people — and it alone,” Netanyahu wrote on Instagram. Arabs make up about 20 percent of the country’s population and almost half the students on this northern campus. 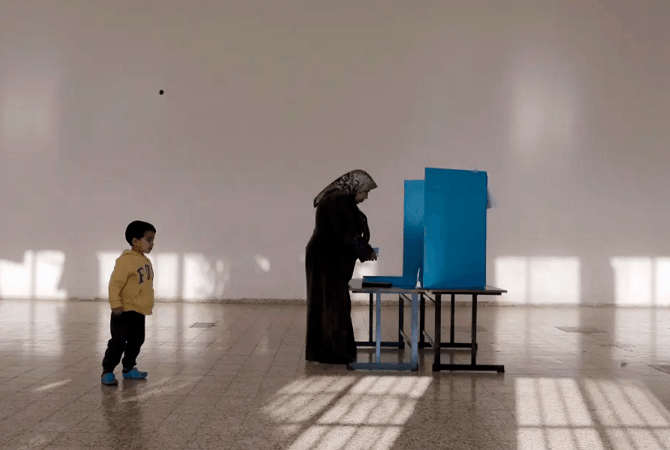 Israeli Arabs, both young and older, express bewilderment at how to proceed as the April 9 election approaches. 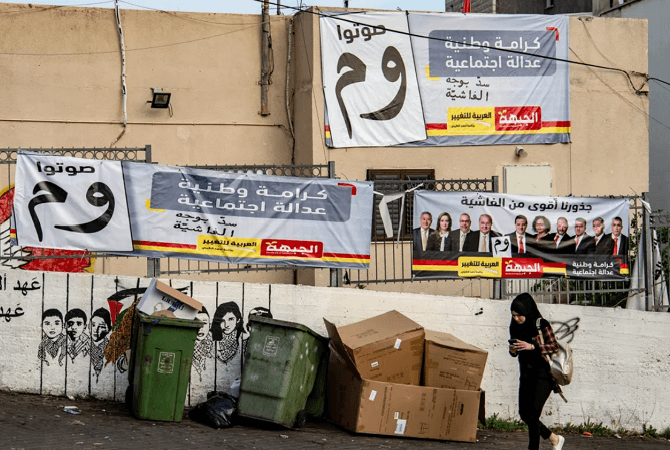 Two major developments have collided: Their trustworthiness is being questioned from on high; and disappointment is rife because the Joint List — the alliance of Arab parties that became the third largest bloc in the most recent Knesset — has collapsed amid infighting. 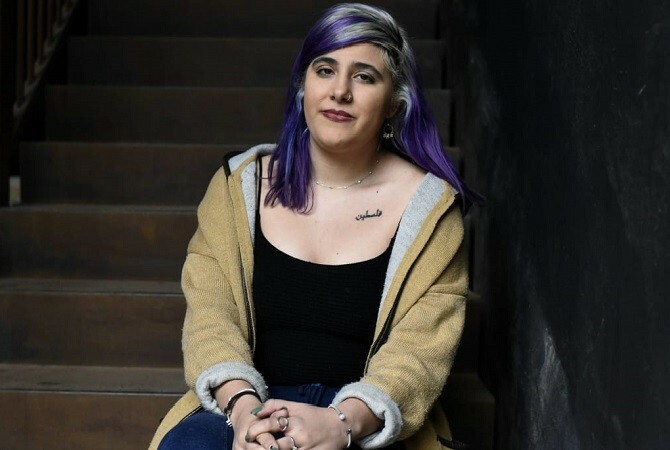 “We need a voice in the Knesset, but I don’t know who will represent me,” says Christina Abu Ram, a 23-year-old sociology student. At the moment Abu Ram is considering not voting at all, saying the opinion that Israeli Arabs should boycott the election speaks to her: The notion that supporting a system that will never support you is futile at best, she says. Top candidates of the new Kahol Lavan electoral alliance of Benny Gantz and Yair Lapid, which touts itself as centrist, have already said they would not form the next government with Arab parties. Netanyahu, fighting to stay in power despite a possible indictment in three corruption cases, has doubled down on a message that any party but those aligned with his Likud is a left-wing outfit that would include the Arab parties in the governing coalition. Abu Ram, who has dyed her dark hair blond mixed with streaks of violet, has the word “Palestine” tattooed in Arabic just under her left collarbone. “Most of the right and even the left don’t want to hear the word Palestinian; for them we’re just Arabs, a minority that threatens them, and not really part of the Palestinian nation that lives here,” she says. 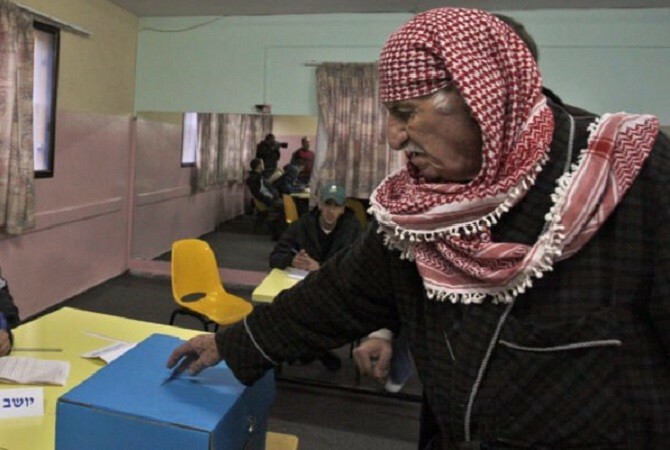 In the 2015 election, 63.7 percent of Israeli Arabs voted — a surge credited to the excitement around the Joint List, which was formed after Israel’s right-wing parties pushed through a law to raise the electoral threshold. 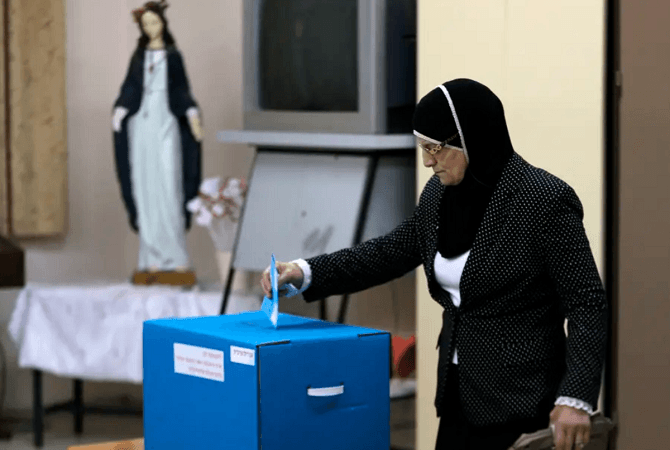 But these parties’ vast ideological differences — an unlikely coalition of communists, feminists, Islamists and Palestinian nationalists — shattered the bloc in the run-up to this year’s election. They are now running as two separate alliances: Hadash-Ta’al and Balad-United Arab List. Abu Ras is co-executive director of the Abraham Fund Initiatives, an organization that promotes equality between Arab and Jewish Israelis. Lapid, the leader of the centrist Yesh Atid party, has said a victory by him and Gantz, a former military chief of staff, would not include the Arab parties in the coalition. “For us that’s humiliating — it means Arabs don’t count,” says Abu Ras. He adds that young Arabs hear this and wonder if it is worth playing the game of politics if others don’t consider you a valid player. The feeling of being unwanted is only intensifying, says Diana Butto, a human rights lawyer who lives in Haifa and is a former adviser to the Palestinian Authority. Tariq Yassin, 28, is directing the Hadash party’s efforts to win support on university campuses. Hadash is basically Israel’s communist party and traditionally does well in the Arab community. Yassin says he’s working to remind his fellow young Israeli Arabs that there is still power in their vote. Yassin dismisses the people organizing a boycott in the Arab community as fringe, and doesn’t think they’ll make much of an impact. Most of the students interviewed for this article said they planned to vote, though some — including a computer science student who declined to give his name — said there was no way he’d take part in a system he sees as a farce. He and other students spoke a lot about the discrimination they feel not just in the rhetoric they say demonizes and delegitimizes them, but in practical ways they say the state works against them. They pointed to a 2017 law to penalize violations of planning and building laws. Critics say this has a disproportionate affect on Arab citizens, citing decades of what they call discriminatory policy leading to a massive housing shortage in Arab villages and cities. An activist in Hadash, he says he’ll be voting for Hadash-Ta’al, and is encouraging his friends to do the same. “Removing these laws have to be a priority,” he adds. Sitting nearby with her math books is 22-year-old Umm al-Fahm native Amal Jabareen, her hair covered by a headscarf. Amal is Arabic for “hope.” She’s not sure whom to vote for or if she’ll vote at all. “We feel helpless … even though we’re citizens too,” she says.